Editor&apos;s Note: This is the final post in a three-part series following a local groom&apos;s perspective as he and his bride prepare for their big day. Jack Helton and his fiancee, Taylor, are an example of how Visit Hendricks County can help future brides and grooms prepare for their wedding with free resources many people may not even realize exist such as help with lodging and entertaining out-of-town guests as well as a bridal guide filled with local florists, photographers, caterers and more. After a year of thinking, planning, and stressing, our wedding day ended in a blink of an eye, but it couldn’t have been more worth it! Here&apos;s a recap of the night before the wedding, our wedding day and my final thoughts as Taylor and I look forward to the future united as one. Our wedding weekend started with a rehearsal at Avon Gardens, the beautiful wedding venue we had chosen in Hendricks County. Thanks to the staff at Avon Gardens and our pastors, the wedding rehearsal went pretty smoothly. 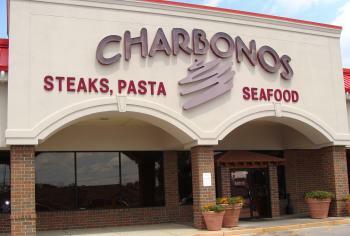 Afterward, we all headed over to Charbonos in Avon for our rehearsal dinner. We chose this restaurant due to its wonderful food, staff and environment; in the end, we were very pleased with our decision. This is a great restaurant if you are looking for a great dining experience for a group as it boasts a private room away from the rest of the crowd. But I also would highly recommend it for a date night or family outing because of the great food, wonderful staff and amazing atmosphere. Once our rehearsal dinner was finished, I kissed my future bride goodbye, knowing that the next time I’d see her would be when she was walking down the aisle. We also were thankful our out-of-town guests had a great place to stay at a Hendricks County hotel. Visit Hendricks County even provided free welcome bags to all of our guests with information about things to do in the county. For the groom, the wedding day plays out a lot differently than the early morning hair and makeup sessions that most envision for the bridal party. Unlike the bridal party, the groomsmen and I needed a total of one hour to get dressed and ready for the big day. Because of that, we were able to relax around the house and run a few errands, which made the hours leading up to the wedding very calm and comforting. Once we arrived at Avon Gardens, everything was a blur. Final details were added, “getting ready” pictures were taken, and last minute touches were provided. However, nothing could calm my excitement to see my bride. Before I knew it, it was time to go stand in front of the ceremony and await the walk of my future wife. As I stood in front of our loved ones, I thought I knew what to expect. However, all of my expectations were blown away when I saw my beautiful bride walk down that aisle. She was more stunning than I could have imagined; and in that instance, all of our planning was worth every detail. The rest of the ceremony flew by, as I stood and smiled my way through our vows while holding my beautiful bride’s hands. After the ceremony, the smiling continued as we took amazing pictures and clips with our photographer and videographer. Our photographer, Cody Bailey of Rogue Images, and videographer, Kevin Reeves, did an unbelievable job capturing the beauty of our day. As far as the reception goes, there are few words to describe it other than this short sentence, “It was a blast!” Truly, our wedding night was one for the books that ended with a perfect sparkler sendoff. With all of that beauty however, the most amazing part of the day was walking away with my wife, knowing she was mine for the rest of our lives. 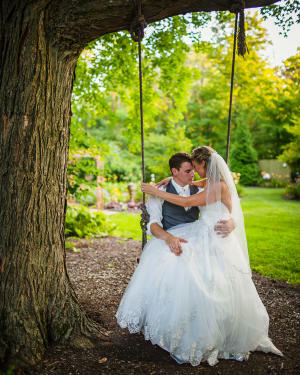 Looking back on our wedding day, we know it wouldn’t have been possible without the help of our parents, sisters, wedding party, vendors and other resources such as Visit Hendricks County. We are so thankful for the love and help from all those who helped make our wedding day one we will never forget. Jack is a born and raised native of Hendricks County who graduated from Danville High School in 2011. Following graduation, Jack attended Purdue University where he earned his Bachelor of Science degree in Business Management. Jack currently works as a Pricing Analyst for the marketing department at Maplehurst Bakeries in Brownsburg. He and his fiancée plan to wed in Hendricks County at Avon Gardens this summer. Jack enjoys spending time with his fiancée, watching Purdue basketball and boating.